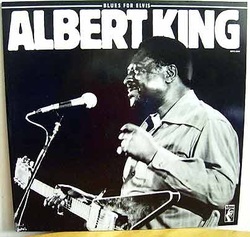 1/ Born under a bad sign – Albert King. 1967. Born under a bad sign. Bell/Jones. B.1923, Miss. D.1992, Tn. Highly influential & original guitar playing style; was lefthanded but played right handed strung guitar. First recorded in 1953 & kept going until his death. 2/ Here my train a-comin’ - Jimi Hendrix. 1967. Blues. Hendrix. B.1942, Seattle. D.1970, London. Took electric guitar playing into areas that had never been approached before. Only released 3 full albums in his lifetime, but there were more than enough unreleased tracks to provide albums for years to come. Credited with inventing blues rock. Note:- 1968. Dr. Martin Luther king jr. is assasinated in Memphis. 3/ On the road again - Canned Heat. 1968. Uncanned; The best of Canned Heat.Jones/Wilson. Founded 1966 by blues historians, Alan Wilson & Bob Hite. (It was Wilson who rediscovered Son House in 1964.) Wilson died, probably a drugs related death in 1970 & Hite in ’81. Band is still going in one form but not a patch on the originals. 4/ Judge harsh blues – Furry lewis. 1968. Blue Horizon story. Lewis. 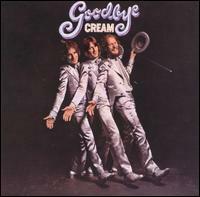 5/ Crossroads – Cream. 1968. Wheels of fire. R.Johnson. Founded. 1966. Disbanded. 1969. Consisted of Ginger Baker, Jack Bruce & Eric Clapton. A group of great musicians that helped define blues rock. Baker & Bruce had worked together in the Graham Bond Organization, whilst Clapton was from the Yardbirds & John Mayalls Bluesbreakers. In the end egos & ‘artistic differences’ caused the split. 6/ Hellhound on my trail - Fleetwood Mac. 1968. Peter Greens Fleetwood Mac Robert Johnson. Formed. 1967, London. Until the very early 70’s, by which time Green & Jeremy Spencer had succumbed to mental illness, they were one of the best blues bands around. Mick Fleetwood & John McVie are still with the pop version of the band to this day, having been founder members with Green. Note:- 1969. B.B.King & Muddy Waters, both of whom are now playing mostly for white audiences, perform at the Fillmore east; the blues having become embraced almost exclusively by white rock, roots & folk enthusiasts. 7/ Stumbling block – Champion Jack Dupree. 1969. Blue Horizon. Lucille Dupree. B.1909, New Orleans. D.1992. Germany. Learned to play piano in the orphange he grew up in. Had over 100 bouts as a professional middleweight boxer, before he realised that music was safer. Lived for several years at a time in a number of countries, including England. First recorded in 1940. 8/ My baby’s gone – David ‘Honeyboy’ Edwards. 1969. Blue Horizon. Edwards. B.1915, Miss. One of the unsung greats of the Delta blues. The only surviving link to the early itinerant days. Travelled with Robert Johnson for a while. Knew all of the early greats, such as Patton, House etc. has recorded a few albums over the last 15 years or so & is still playing at age 88. 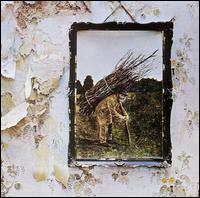 9/ I can’t quit you baby - Led Zeppelin. 1969. Led Zeppelin 1. Dixon. Formed 1969. Disbanded 1980. Formed out of the ashes of the Yardbirds. One of the biggest selling & most popular concert bands of the 70’s. Adapted Folk, Blues & African rhythms to suit their heavy style. All group members were virtuosos of their instruments & style. Note:- 1970. ‘Living Blues’ begins publication in Chciago. The first magazine of its kind in the United States. 10/ The thrill is gone - B.B.King. 1970. King of the blues. Darnell/Hawkins. 11/ Goin’ to Brownsville – Ry Cooder. 1970. Ry Cooder. John Estes. 12/ Dark is the night – Ry Cooder. 1970. Ry Cooder. Blind Willie Johnson. B.1947, L.A. Started out playing in a blues band with Jackie De Shannon, then went on to the Rising Sons, (See week 2 & Taj Mahal, week 1) Captain Beefheart, Randy Newman, Little Feat & the Rolling Stones. (sessions on their Let it Bleed & Sticky Fingers albums). Early albums were mainly blues; then in the 80’s he did a lot of movie soundtracks, (such as Paris, Texas). Into the 90’s & he diversified even more with an exploration of World Roots music, particularly African & Carribean. Probably one of the all time great slide players. Note:- 1971. Blaxploitation – Hollywood’s ironic acknowledgement of black purchasing power begins with Gordon Parks ‘Shaft’. Note:- 1972. Congress passes the Equal Opportunities act. 13/ Motherless Children – Eric Clapton. 1974. 461Ocean Boulevard. Trad. B. 1945, England. Started out as a blues guitarist with John Mayalls Bluesbreakers, Yardbirds, Cream, Blind Faith, Delaney & Bonnie, Derek & the Dominoes & then on to a long career in a more sanitised form of the blues. He has on occasions gone back to the blues & often plays live blues concerts, but has never recaptured the glories of his early days.